Mold in your Houston, Texas home is nothing to take lightly. Over time, mold presents a number of health and structural concerns, leading to the deterioration of your home and making those with allergies and asthma at risk of more serious ailments. It can also affect even those who do not have respiratory problems. That is why it is so important to prevent, identify, and remove it as quickly and efficiently as possible. If you fear that you are at risk or that you already have mold, here are a few ways to take care of the problem before it gets out of hand. The first step in protecting your family from molds is to prevent them in the first place. To start, you need to identify leaks or areas in and around your home that have a lot of moisture. 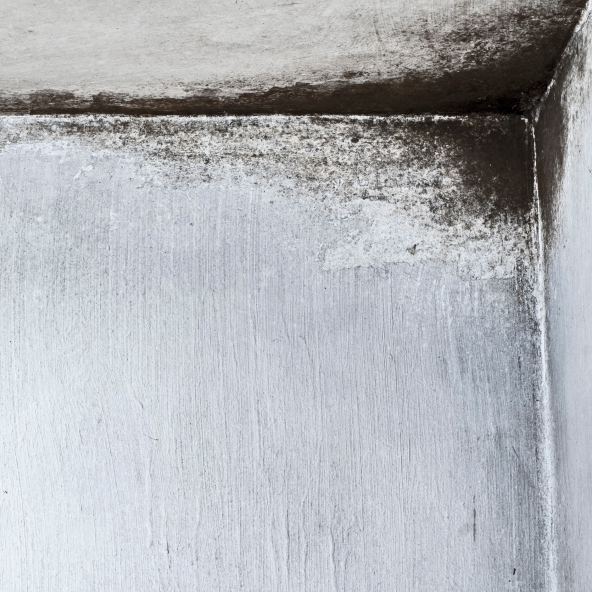 Mold needs moisture to grow and thrive. They often develop in the bathroom, kitchen, and basement. Air conditioning units and condensers are also known to leak, it is very important to schedule routine maintenance. During maintenance checks, your HVAC technician will thoroughly examine and clean the system. A visual inspection can quickly reveal the presence of mold. However, you can also detect it because it has a very distinct, musty, odor. You often smell mold before you see it. If you smell but don’t see any mold, it could actually be developing behind your walls. Possible causes include a leaky roof, attic, window, or wall. Apart from damage to structures and furnishings, another clue to the presence of mold is through its impact on your family’s health. If you can eliminate the cold and flu viruses, your indoor air quality could be a factor in your family’s health challenges. This is particularly likely if illness is prolonged or frequent, and seems to worsen at home. Some physical symptoms of exposure to this micro-organism include confusion, dizziness, memory loss, hallucinations, seizures, numbness of extremities, or extreme behavioral changes such as aggression. Once you have identified the high-risk or susceptible areas in your home, the next step is prevention. The organisms can grow and multiply quickly, so you need to address problem areas as soon as possible. Attend to wet areas and repair leaks as soon as possible. Turn on the exhaust fan when showering or bathing, as this removes excess steam and moisture from the room. You must also clean under your bath mat regularly, as it can become a breeding ground for mold in a short time. Also use the exhaust fan in the kitchen as a lot of moisture can build in the kitchen from meal preparation activities and from washing dishes. Don’t leave perishable food in the pantry or refrigerator without a proper container, as this too allows mold to grow rapidly. Ensure that the dryer is vented toward the outside of your home. Don’t leave wet clothes or towels lying around the house as this is a huge mold hazard. These are general rules the entire family should live by daily. It is important that everyone is onboard as you implement these strategies. The spring and summer months typically bring a lot of heat and humidity to our area. If you are particularly concerned about indoor humidity, a dehumidifier is a good choice for managing humidity and keeping the air fresh. These machines, whether inline or portable, help remove excess moisture. Not only does this help to eliminate the risk of mold, but it also makes your home more comfortable. You may also consider an air purifier. If you do have mold, these units help to trap molds and eliminate any further contamination. They also remove dust, dirt, and other pollutants from your indoor air. If you decide to install an inline dehumidifier or air purifier, make sure to contact a professional to ensure the system is properly installed. Once you have mold in your home, getting rid of it isn’t always an easy task. It depends on where the mold is located, how long it has been there, and the type of mold. As long as you don’t have an invasive, dangerous strain of mold, such as black mold, it is often easy to remove. One thing that complicates tackling mold is that extreme caution is needed. The mold itself or the chemicals used to treat the mold can be harmful. Chemicals like bleach are very effective for killing fungi, but are also very hard on the respiratory system. That’s why you only want to use them as a last resort. As an alternative, there are many natural substances that are effective at removing mold. This list includes tea tree oil, vinegar, and high-proof liquors such as vodka and grain alcohol. To kill mold on most surfaces, simply spray, let sit, and wipe clean with a rag. Surfaces such as plastic, fiberglass, and ceramic aren’t particularly porous, meaning that mold removal is straightforward and easy. However, removing mold from drywall and wood is difficult because it gets into cracks and crevices, making extraction harder. You can use chemicals to clean below the wood’s surface if necessary. The more problematic scenario is removing it from drywall. Drywall holds moisture and acts as a food source for mold, allowing it to spread rapidly. It also hides in the corners of rooms making identification somewhat difficult. If you do find this substance on your drywall, the best way to rid yourself of the problem is to remove the piece of affected drywall. Doing this isn’t difficult or expensive. If you have extensive damage, it is best to enlist the services of a mold remediation specialist. Do your research, and be sure to hire a reputable organization. You want to be confident that the entire area is treated, rather than just what is on the surface. If only the surface is treated the problem will not go away. It is also important to have this work done as soon as possible to prevent serious health complications and further damage to your home. Particularly if you have reason to be concerned about this pollutant in your home, it is a good idea to schedule an indoor air quality inspection. Using new technology, many companies can conduct a thorough air quality assessment, and inform you about the potential risks in your home. Many of these risks can be easily detected, but a professional can discover developing or existing problems that you might not be able to identify. Identifying, preventing, and removing mold is something that every homeowner needs to know about. Not only does it protect the health of your family, it also protects the value of your home and prevents costly repairs down the road. If you feel that you are at risk or just want to talk to a professional about your concerns, contact the experts at Conditioned Air today at 281-201-0356.